In this time of conflicts and mistrust does having ‘Faith’ really matter? 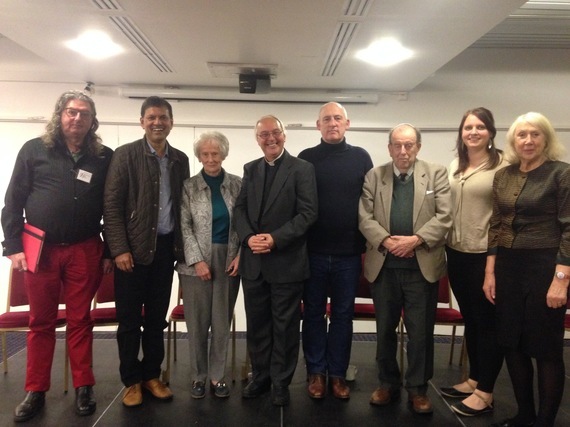 This was the main theme at Eastbourne’s Faiths Forum (EFF) event to mark National Inter Faith Week in November. EFF members and representatives from nine faiths each gave short presentations about how their faith matters to them and, after a brief interval, took their seats on a panel to answer questions from the audience. During the interval audience members were able to browse the many display stands and collect information about different faiths, whilst asking more private questions of EFF members. Feedback from the audience was very positive. One person said, ‘‘the event left me with a feeling of hope that people of different faiths and denominations can work together’’. Another person added, ‘‘it is always interesting to hear other faiths' points of view on mutually important topics’’. If you are interested in finding out more information about Eastbourne’s Faith Forum or would like information about future inter faith events in Eastbourne please email equality@eastbourne.gov.uk or call 01323 415694.